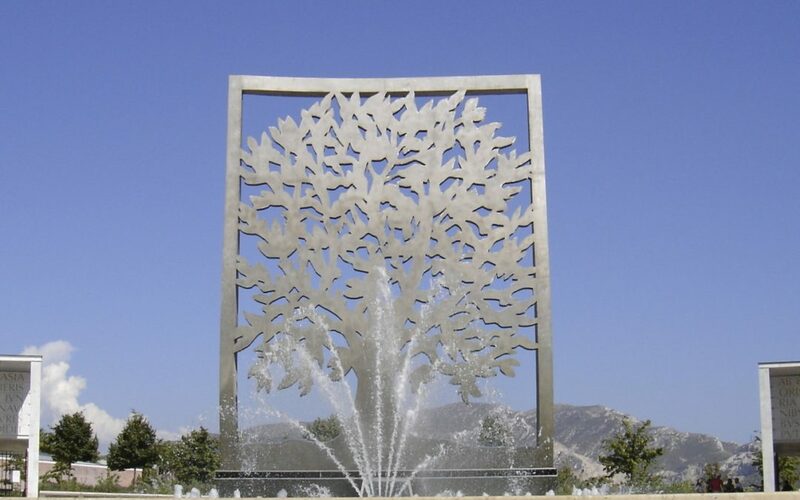 L’arbre de l’espérance sculpture stands at the main entrance to the 26th centennial park in Marseille and was unveiled in 2000 as part of the 2,600 anniversary of the foundation of the city. 350,000 people of all faiths and none, native to Marseille or immigrants themselves, signed up to pledge their intention of offering hospitality, tolerance and sharing. Their names are inscribed on the paved area behind the tree. Marseille, the most ethnically diverse city in France, has also been the most successful in staying free of the outbreaks of social unrest and ethnic violence that have troubled other cities. 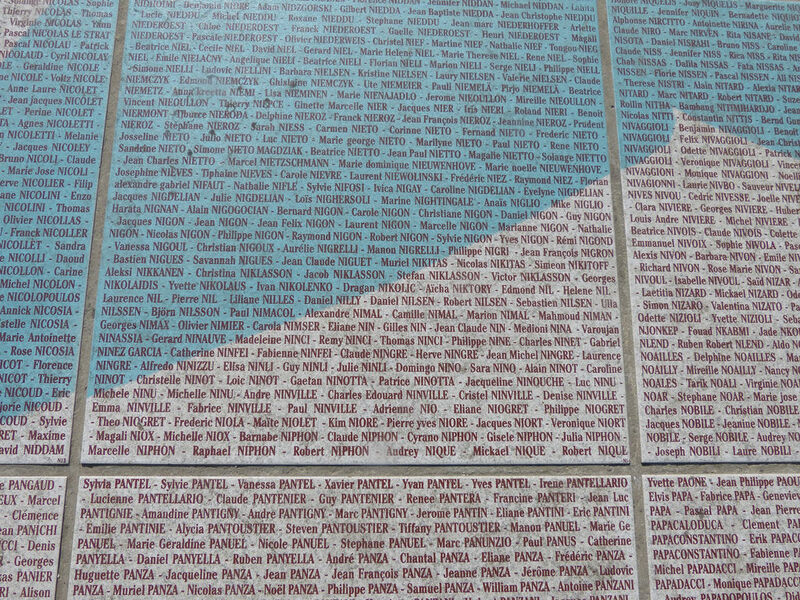 in 1990 the Mayor’s Office established Marseille Espérance to acknowledge the importance of community identities in the public sphere and open lines of intercultural dialogue. A replica of the tree has been presented to its twin city, Shanghai, and its partner city of Algiers.